Now you can enjoy Santa’s home here in the beautiful White Mountains of NH with your family in the summer, fall and winter. Your admission includes unlimited use of all the rides and shows—ride over and over again without long lines! An Abominable water play area that will provide hours of “cool” entertainment. When you ride The Mount Washington Cog Railway, you're in for an unforgettable adventure. Magnificent scenery...efficient new biodiesel locomotives and the classic steam engine combined with a spectacular climb up the highest mountain in the Northeast. Browse the gift shop, have a bite to eat at the restaurant, visit the informative museum, and enjoy the great views before ascending the mountain. The Mt. Washington Cog's "brakemen" will entertain you along the ride with stories and pointing out historic sites. At the Whale's Tale Water Park, the whole family can play in the only wave pool in the White Mountains. Ride the big waves or relax in the gentle ones at the shallow end. Streak down the speed slides, twist through the flume slides, or splash down the 360 foot tube ride. Your admission ticket includes unlimited use of our 11 waterslides, huge wave pool, 1/4 mile lazy river, Kid's activity area and of course tubes are always free at The Whale's Tale. An 80-passenger cable car brings visitors to the 4,080-foot summit of Cannon Mountain in under ten minutes. On a clear day, you can see the mountains of four states and Canada! At the summit, you'll find spectacular scenic walking paths, a 360 degree observation deck, a cafeteria, bar and restrooms. Choose skiing and snow boarding from Loon, Cannon, Bretton woods. We are centrally located to all the mountains, and truly a convenient location at exit 38 on I-93. Enjoy Mountain View rooms, large indoor heated pool, hot tub and fitness room. We offer free internet access, local calls, and a business center. All package rates include 2 adult ski tickets, one night stay and breakfast. Do not include applicable tax and pet fee. Please check with each mountain for correct holiday and weekend dates. Celebrate Christmas in style at Best Western from mid November to mid December weekends. 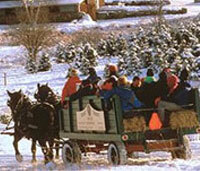 Picking and cutting your own Christmas tree and sleigh or wagon ride. This will be a memorable family and holiday event for you and your children for rest of your life. 2 night package for family of four, for only $289.99 + tax that include following. » Use of Hot tub, and Indoor Heated Pool, FREE Hot Continental Breakfast. Fill the joy of Golfing in the White Mountains. 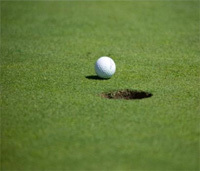 Chose from many beautiful courses like Mountain View Grand Golf Course, Maplewood Country Club, Lisbon Village Golf, Sunset Hill Golf, Waumbek Golf Club, Bethlehem Golf Club, etc. Weekdays Package Start at $79.99/ppdo that include following. » Use of Hot tub, and Large Indoor Heated Pool, FREE Hot Continental Breakfast.